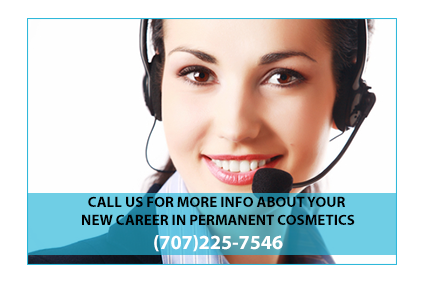 The Permanent Cosmetic Training Center of Northern California in Santa Rosa is a hands on training facility that offers its students the opportunity to learn from a Master Permanent Makeup Artist with years of experience. Each student will learn the fundamentals of applying permanent cosmetics makeup and aspects of the industry. With small class sizes and individualized attention our curriculum ensures each student will receive the best training the permanent makeup industry has to offer. As a constantly evolving industry, the Permanent Cosmetic Training Center of Northern California prides itself in keeping current while offering the newest and finest techniques in the permanent cosmetic makeup industry. Classes sizes are limited to 1 or 2 students. This allows for individualized attention to perfect the student's skill. Our students have the opportunity to work on live models, which heightens their knowledge and experience level.